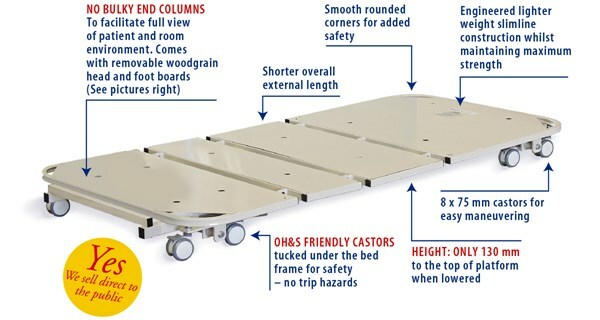 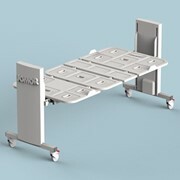 With an extremely low height of 110mm from floor to top of mattress platform, the Columnless SafeCare® Floor Bed is anticipated to be one of Australia’s most popular COLUMNLESS ultra-low height beds. 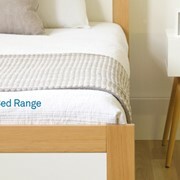 Range of mattress platform sizes from single to DOUBLE! 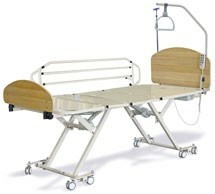 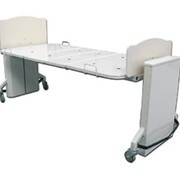 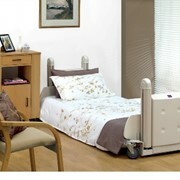 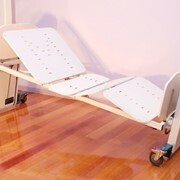 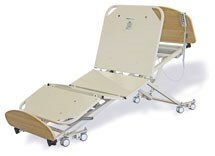 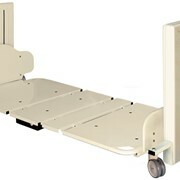 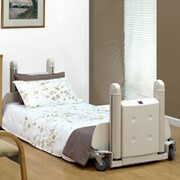 The Unique Care® Columnless SafeCare® Floor Bed boasts a range of innovative features, whilst remaining aesthetically pleasing and practical. 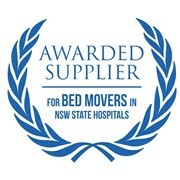 Contact Wendy or Sheree directly to organise a bed trial at your facility! 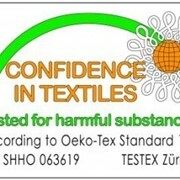 NATA Accredited Laboratory tested to AS/NZS 3200.2.38:2007 and IEC 0601-2-52.